I have fond memories of my trip to San Diego many years ago to watch the Aggies take on Cal in the Holiday Bowl, even if the game didn’t turn out as I hoped. In my living room, there is a great picture of us in the Hotel del Coronado lobby in front of the Christmas tree. So when my friend Leigh-Anne was going to San Diego for a conference and asked if I wanted to meet her in San Diego for the weekend, of course, I was in! Both of us thought it would be neat to stay at the legendary Hotel del Coronado. The film Some Like it Hot, starring Marilyn Monroe was filmed there. Although it was a bit pricey, we would only need to stay there one night. I booked a room with a king bed since that was the cheapest room that they had. Even if you don’t stay at this hotel, it is a great place to visit. I had a reservation for the parking lot, but the scanner couldn’t read the barcode, so it took a few additional minutes to get in. Then I pulled into a parking space just as the shuttle was leaving, so I had to wait ten minutes for the next shuttle to leave. Then, I went to the kiosk to check my bag (it had two bottles of wine in it). I clicked through everything but the printer was broken so I could not check the bag. An agent directed me to a long line. At this point, I was getting worried about making my flight. I let her know that I had already checked in and was just trying to use the kiosk to print a tag for my bag. Luckily she sent me to a short line for elite customers. So, then I was off to security. OMG, I have never seen the line this bad. I was thinking there is no way that I am going to make my flight if I have to wait in this line. After about five minutes and little movement, someone announced that the security line on the other side of the terminal has opened. Thank goodness I wear comfortable flats when I fly because I broke out in a full sprint. But, of course, there was still a line at that one. At this point, the line seemed manageable, but the plane was going to begin boarding in five minutes. Luckily, I made it through security quickly and jogged all the way to my gate. So after my morning exercise, I tried to relax and get ready for a super fun weekend! Once I arrived in San Diego, I met Leigh-Anne at the Southwest terminal. Since there is no Hotel Del Coronado airport shuttle, we just took an uber. 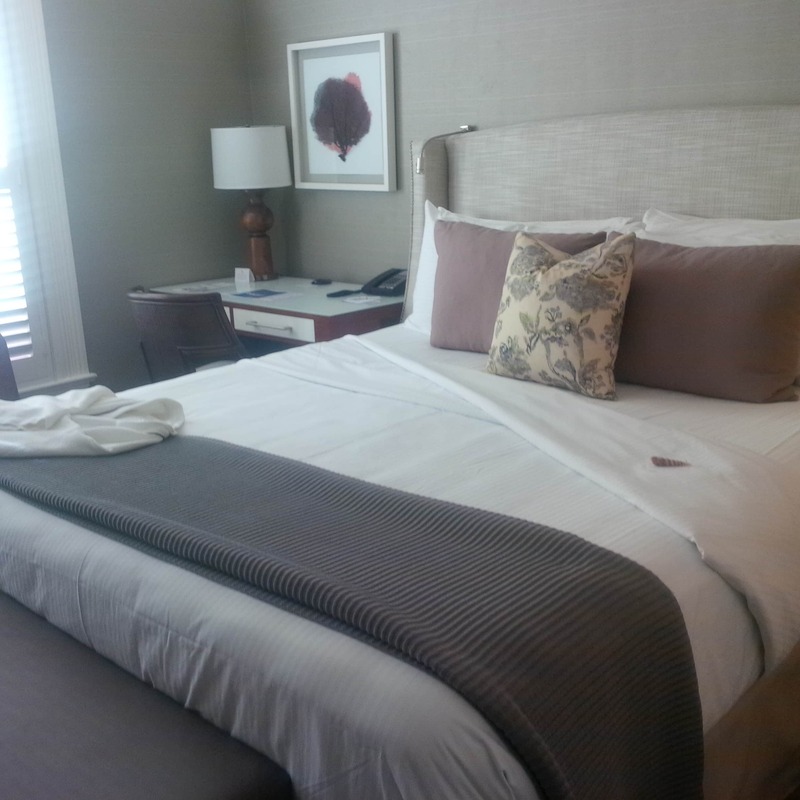 Even though it was way before check-in time, we were able to get our room. We had a standard room in the main building. The building itself is gorgeous. The room itself was TINY! We opened the door and you could only go left. Immediately in front of you was the bed, and the door could barely swing open. Then there was a dresser with a relatively large TV, a bench at the end of the bed, a small chair, a desk (also doubling as a bedside table) and a meager amount of walking space around the bed. The bathroom was nice though. They also provided earplugs in the room – as we found out when we were trying to sleep – the walls were very thin and you could hear anyone who was walking down the halls and talking. After we got situated, we decided to head out and explore Coronado. Although many people think Coronado is an island, there is actually a small strip of land connecting it to the mainland so it is actually a peninsula. Apparently, this has been a huge point of contention amongst the locals too! We made our way to Chez Loma for lunch. The restaurant is in a cute, little house with a bar in the front in a sunroom. There weren’t that many people there, but we were eating early. Remember I had been awake since 3:45 Central time, which is two hours ahead of Pacific time. Leigh-Anne started with a mimosa and I had a bloody mary. Since it wasn’t busy, it was nice to be able to relax and enjoy our cocktails. Then we had the shrimp cocktail and ordered our main courses. I had the mussels and Leigh-Anne had the Croque Monsier. Both of our selections were good and the restaurant was also very affordable. We spent the afternoon going into the various shops and just walking around sightseeing. It was quite relaxing and fun. When we got back to the hotel, we decided to open one of the bottles of wine I had brought – a delicious bottle of Cyrus. We needed wine glasses and a corkscrew, so I called the front desk. Well, I fell asleep before they could bring it to us. Then, we headed to dinner at 1500 Ocean. We explored the Hotel del Coronado on our way there. Since the hotel is over 125 years old, it is neat to see the amazing craftsmanship and the ornate details. Plus they have information and photos detailing the hotel’s history, and I found this to be an interesting read. Also, they had a special Christmas display in the courtyard – complete with recorded music. There was a large icicle looking structure in the middle of the courtyard where photos were projected. Also, they had other various holiday-themed displays. We got to the restaurant a little prior to our reservation so we had a cocktail in one of the open air bars right in front of the restaurant. Since it was cold, they had the fire pits going, and it was a great atmosphere. This was an absolutely amazing meal. 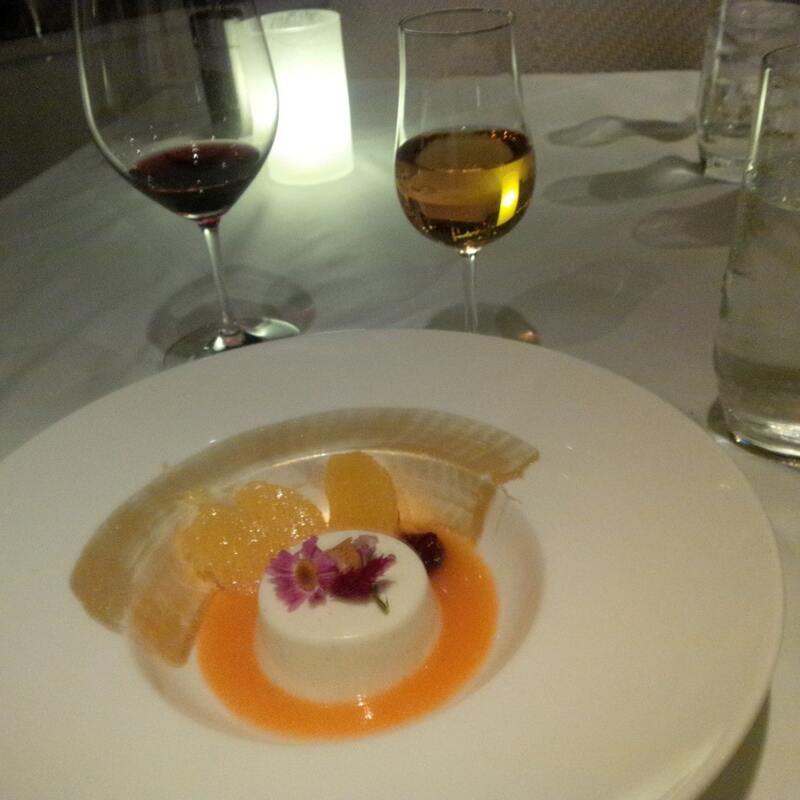 We did the five-course tasting menu including wine pairings. Both of us started with the raw oysters. They were absolutely amazing and were served with bubbles – my favorite! None of the second courses were screaming my name, so I asked the waiter if I could have the beef tartare (which was listed as a first-course offering) and he obliged. All the courses of our meal were absolutely incredible and it was a nice, relaxing dinner. The next morning, we got up and went for a walk on the Hotel Del Coronado beach. There were plenty of people out and even some children playing in the water. Even though it was too cold for me to go in the water, I enjoyed getting to spend a bit of time on the beach. We then got ready for brunch. 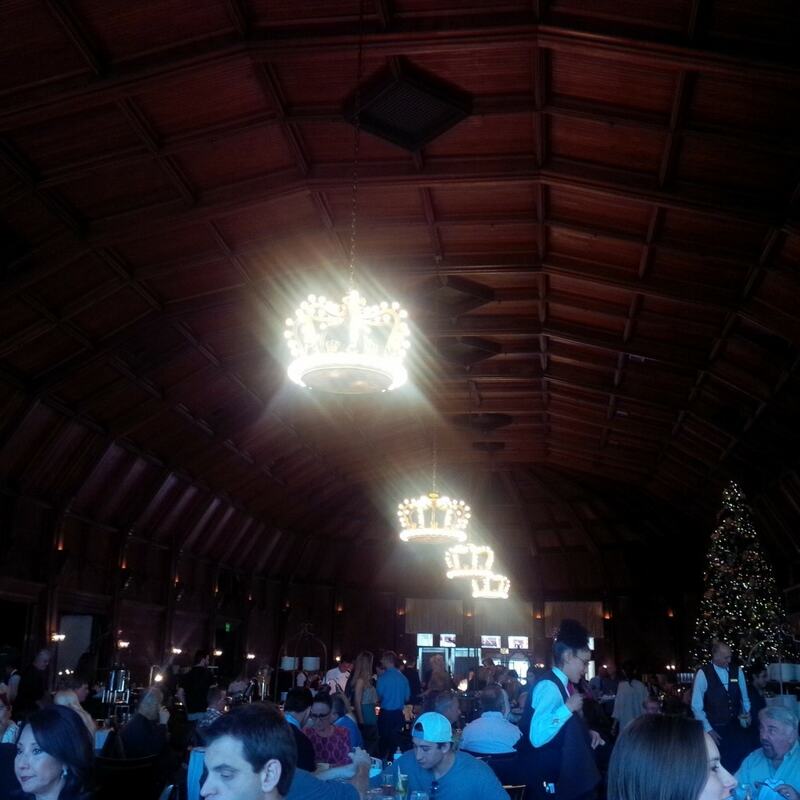 Each Sunday, they have an all you can eat (and drink) brunch in the Crown Room. We made reservations the night before. There was so much food and so many different selections. I had to come up with a plan before I began eating. My plan started with one rule – each time I got a new plate of food I had to get another drink. 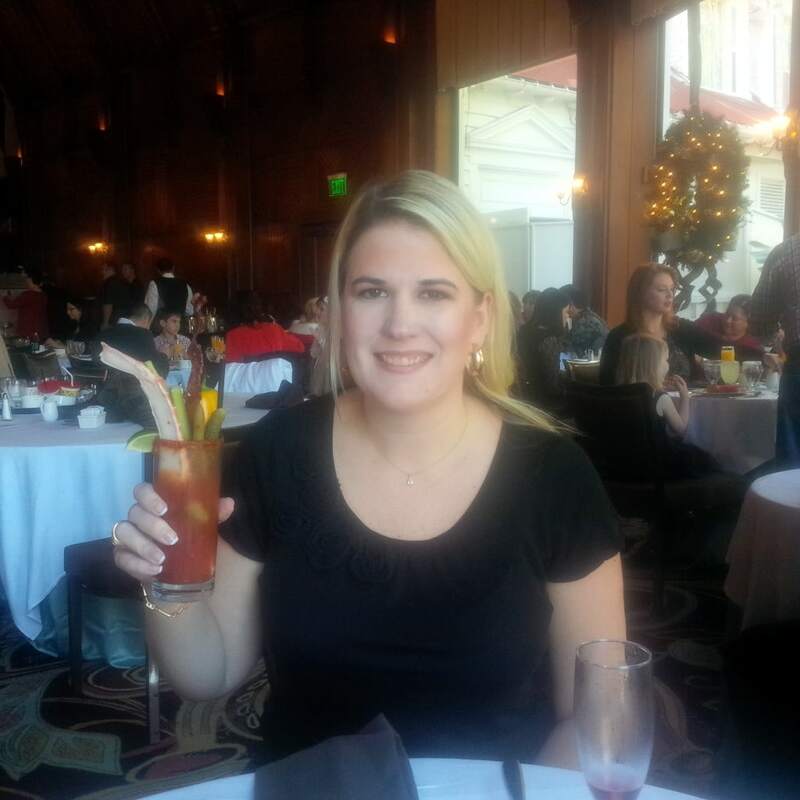 They had various drinks to choose from, but the bloody marys and the mimosas seemed to be the most popular. Our waitress took our drink order and brought us our cocktails. They also had bars throughout so that you could get your own cocktails (basically anything you want as long as the alcohol is either vodka or sparkling wine). This came in handy because I wanted to dress up my bloody mary. They would put a crab leg in it for you, but I also wanted a few other things in mine including BACON! Both Leigh-Anne and I started at the seafood bar. They had raw oysters, but they were nowhere near as good as the ones we had enjoyed the previous night. I tried a crab leg – I don’t believe that I had ever before had one! I went back for quite a few plates of food – it was fun to be able to have a bite or two of so many different things. After lunch, it was time to check out. 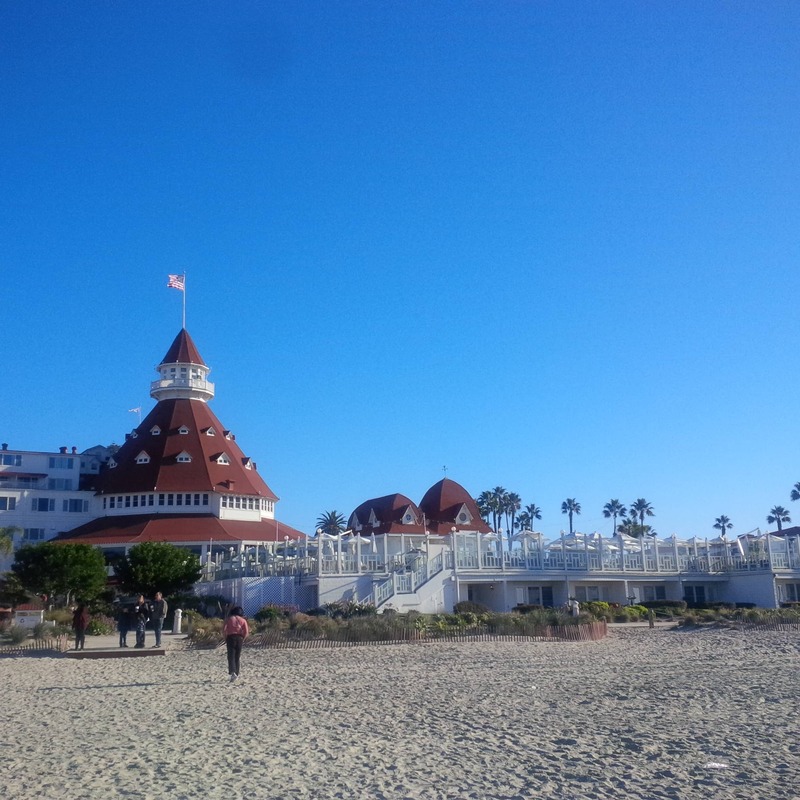 Overall, I enjoyed exploring the Hotel del Coronado and my meals at the restaurants, but the room quality was a bit lacking (as can often be expected at a historic hotel). If you are in the area, I would make a visit to the Hotel Del Coronado a priority and enjoying a meal there would be a special treat! Have you been to Coronado? I would love to hear about your experience. Include time to explore the Hotel del Coronado – it is an impressive building. 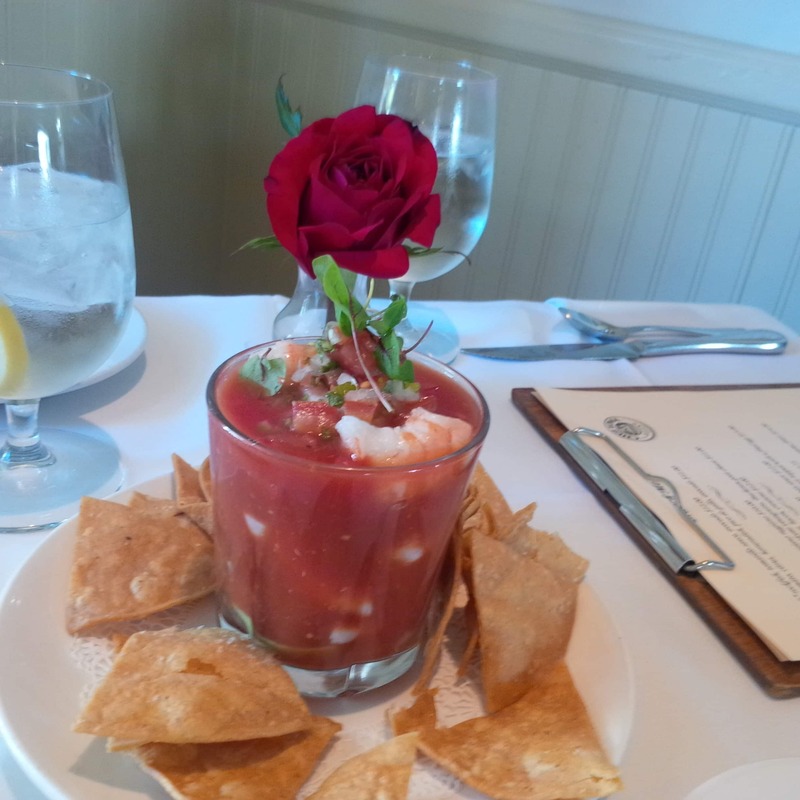 If you want to eat at any of the restaurants at the Del, try to make a reservation a few days in advance. Disclosure: This post contains affiliate links. This means we will receive a small commission for some purchases made using links in our blog. There is no additional cost to you. Please be assured we would not promote any product unless we believe that our readers will also benefit. The commission does not influence the editorial content of this site. PreviousThis Ain’t My First Houston Livestock Show and Rodeo! Sometimes the hotel is the destination, and I think this is the case. I would love to stay at the Hotel Coronado…what views! So true Corinne! Do you have other hotels that are on the list? Very interesting…I guess it’s not unusual to have ghost sitings at historic hotels. Thanks for stopping by. Rob – Thanks. We will have to check out that book. And I guess that’s what you get when you book the cheapest room! Good to hear they have bigger ones. This brings back memories. I grew up in San Diego. The Hotel Del Coronado was the scene of my senior prom and my grandparents 50th wedding anniversary party. I’ve never stayed there. Oh wow what a great location for prom and the anniversary party!